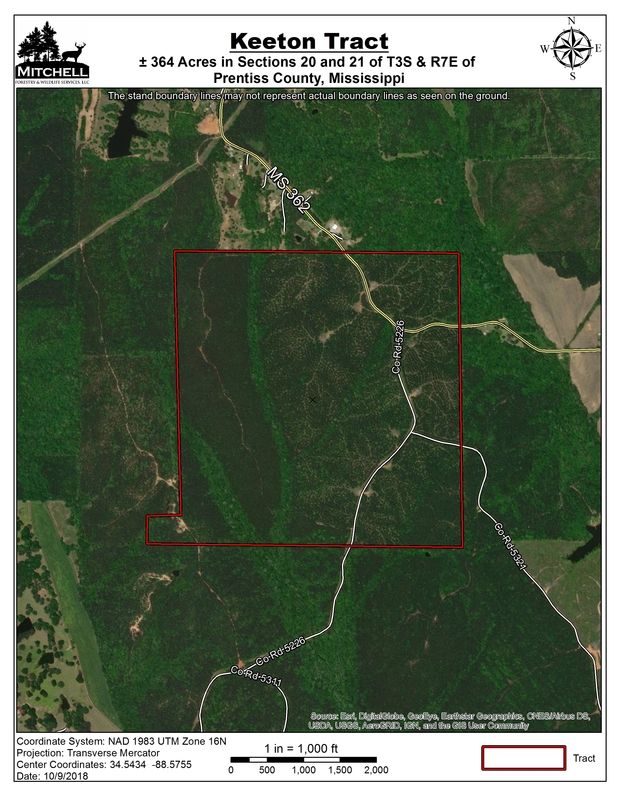 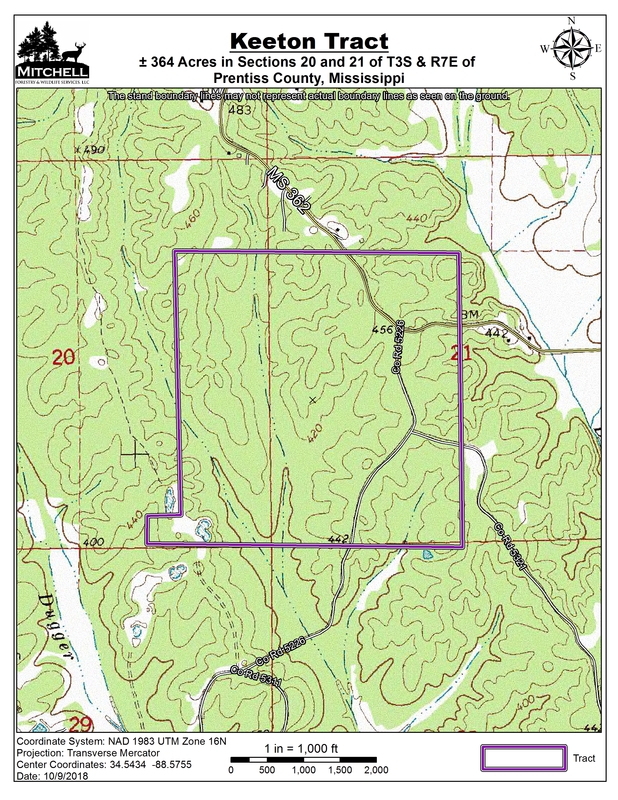 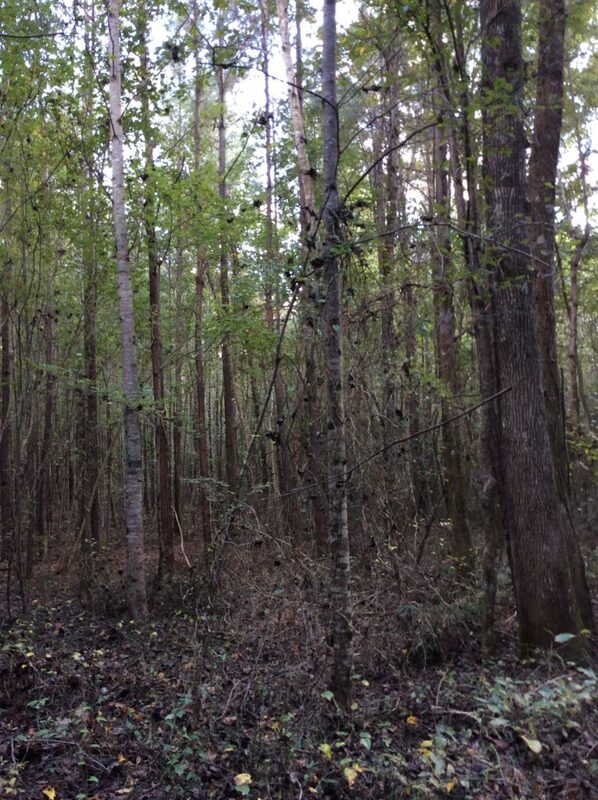 Location: Sections 20 and 21 of Township 3 South & Range 7 East in Prentiss County, Mississippi, 6 miles northeast of Baldwin and 4.5 miles southeast of Wheeler. 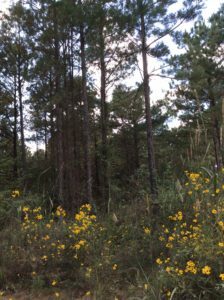 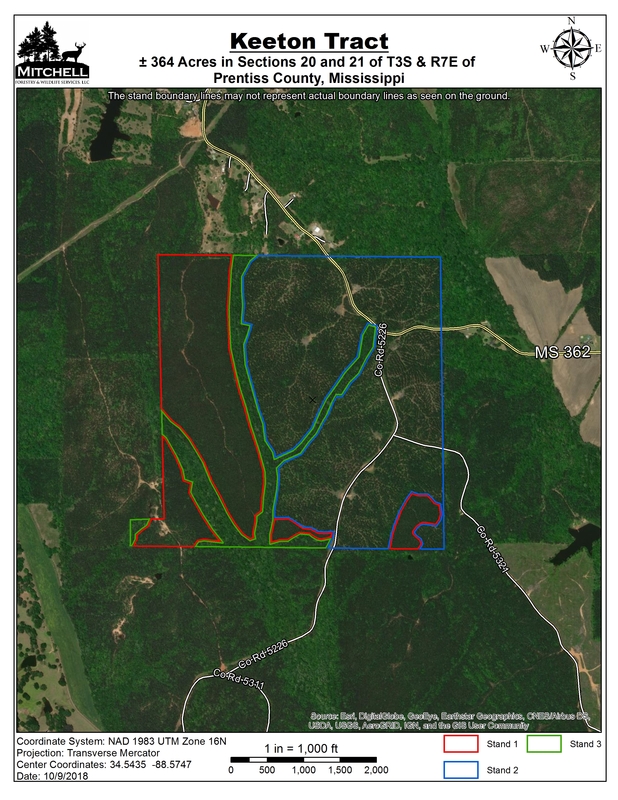 Stand 1 is 105.5 acres of improved loblolly pine planted in 2000, that has not been thinned. 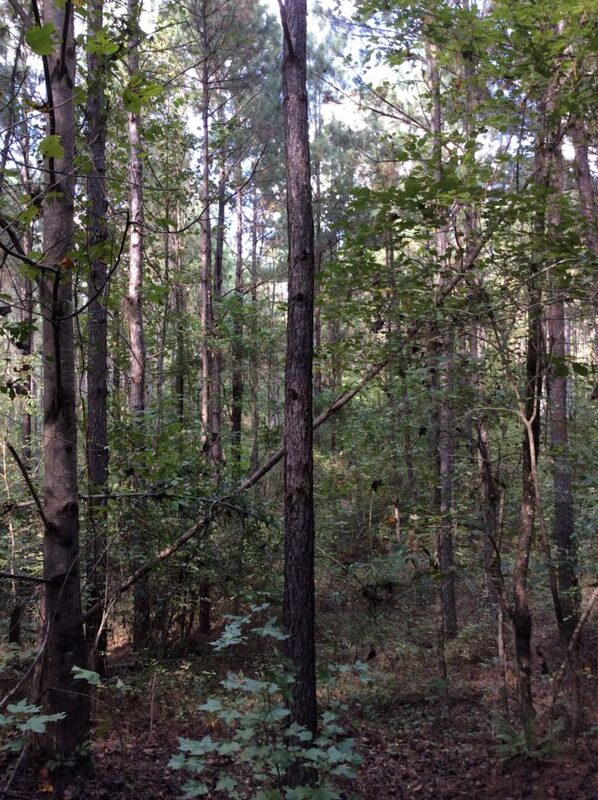 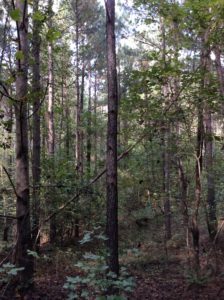 Stand 2 is 214.5 acres of improved loblolly pine planted between 1995-1998, that has been thinned twice. 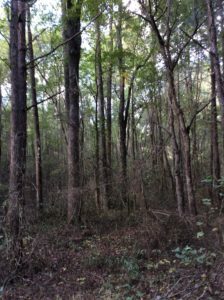 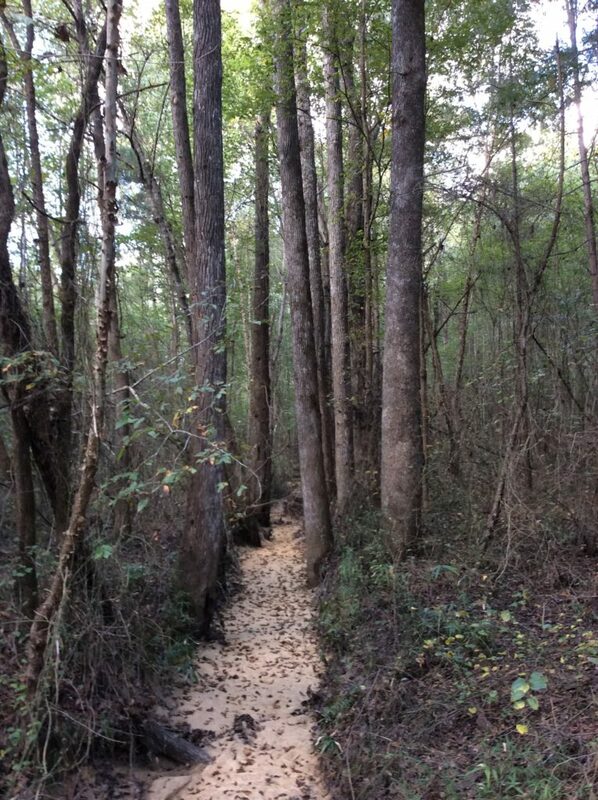 Stand 3 is 44 acres of mixed hardwood species that make up a streamside management zone. 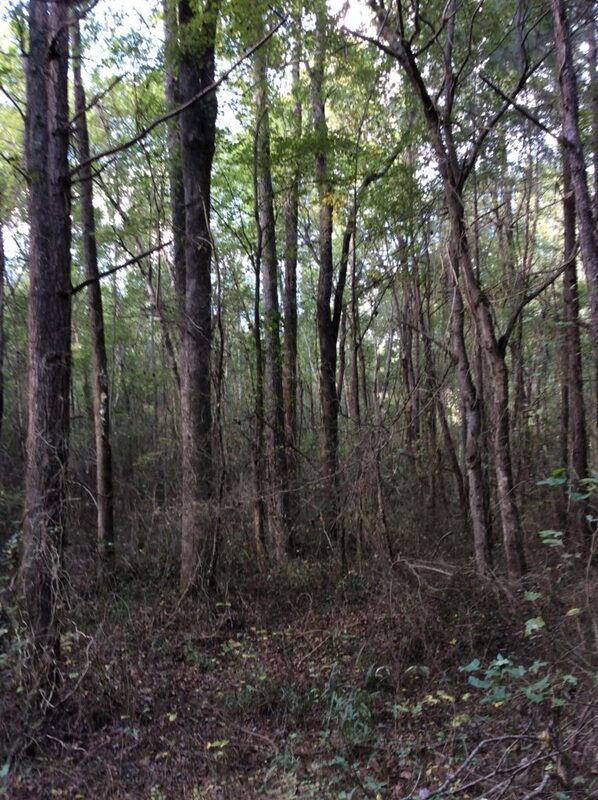 Very good access with over a mile of county road frontage. 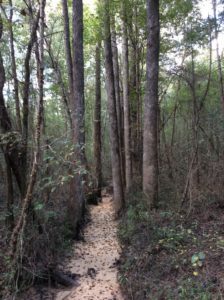 Electricity and water are available on the site.